Newly-released FBI documents pertaining to the D.B. 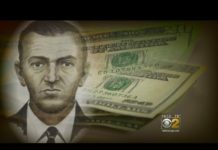 Cooper hijacking case include a letter that may only deepen the mystery surrounding the notorious unsolved crime, which marks its 46th anniversary this week. “I knew from the start that I wouldn’t be caught,” says the undated, typewritten letter from a person claiming to be the man who said he had a bomb and commandeered a Northwest Airlines flight from Portland to Seattle on Nov. 24, 1971. After releasing passengers and crew members, the man then ordered the pilots to fly to Mexico, only to parachute out the back door somewhere over Washington’s rugged wooded terrain with $200,000. “I didn’t rob Northwest Orient because I thought it would be romantic, heroic or any of the other euphemisms that seem to attach themselves to situations of high risk,” he said. ​Three weeks after the hijacking, the letter to the Seattle Times was turned in by editors to the FBI. 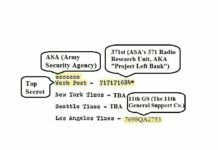 Agents were then ordered to confiscate the others mailed to The New York Times, The Washington Post and The Los Angeles Times. Each received a carbon copy and had published short stories and quoted its contents. All four were in envelopes with a greater Seattle area postmark. 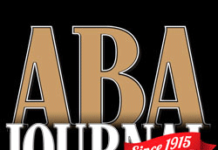 Last month, the FBI released a copy of the letter sent to The Post in response to a Freedom of Information Act lawsuit brought by acclaimed D.B. Cooper sleuth Tom Colbert, an author and documentarian. 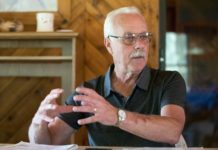 He and his 40-member cold case team of former lawmen and women, led by more than a dozen retired FBI, believe the note, stamped as “evidence,” is real. “We have no doubt it’s from Cooper, and the reason is that he cites he left no fingerprints on the plane,” he said. “That’s critical because it was absolutely true. 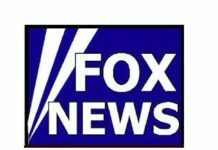 Colbert, co-author of the award-winning tome on the investigation, The Last Master Outlaw, said old in-house memos and recorded follow-up actions suggest the Bureau was operating under the same premise. The FBI wrapped up its D.B. Cooper investigation last year without identifying the hijacker or ruling out the possibility he could have been killed in the treacherous jump. The Bureau said it considered 800 people as suspects. 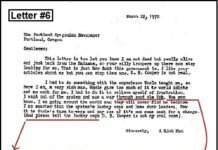 The FBI also never publicly established the authenticity of this letter to the four newspapers, or, for that matter, four other taunting letters that also purported to be from the hijacker. Those notes were sent a few days after the hijacking; the Bureau still holds three of them. Like in the back of the plane, no suspect’s prints were recovered from any of the five letters. FBI agents in the field apprised FBI Director J. Edgar Hoover of their investigation into the latest letter, according to other documents turned over to Colbert. Since January, the FBI has released more than 3,000 documents to Colbert and his team. The Bureau said in court papers that it has more than 71,000 documents that may be responsive to Colbert’s lawsuit. The gumshoes strongly believe D.B. 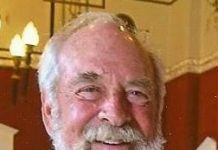 Cooper is an individual named Robert W. Rackstraw Sr., now 74, who flew helicopters in the Vietnam War and is now living in the San Diego area. Colbert said the postal markings on the first and last of the earlier notes revealed they were mailed from within 30 and 50 miles of Rackstraw’s isolated 1971 home in the foothills of California’s Sierra Nevada Mountains. He resided in the community of Valley Springs, population 1500. 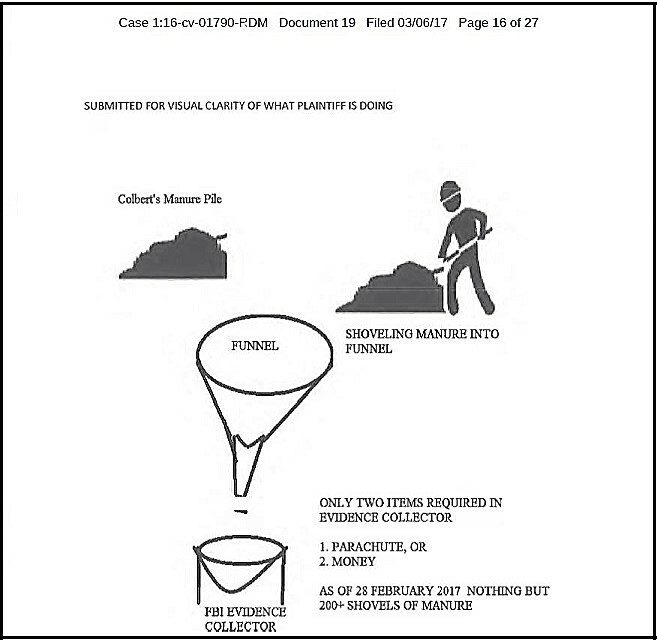 In March, Rackstraw sent the Washington, D.C., federal judge presiding over Colbert’s FOIA lawsuit a rambling 9-page letter that the court took to be a motion to intervene in the case. 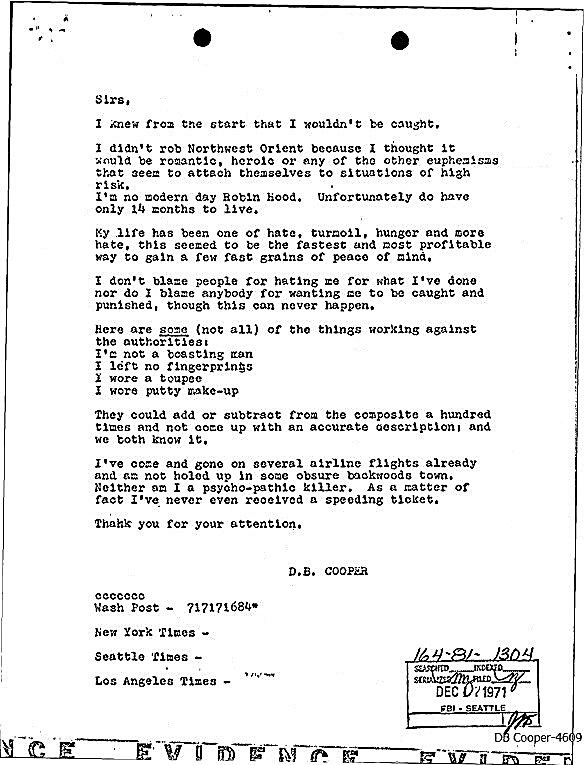 In his letter, Rackstraw said that he was not D. B. Cooper and accused Colbert of ruining his life. Then he provided an eye-opening “Exhibit #2” to demonstrate his opinion of the sleuth’s case. ​​The judge responded to it by issuing a ruling to reject Rackstraw’s motion. FYI: In August 2017, Colbert and his team brought the FBI five unidentified fabrics believed to be from the burial site of Cooper’s parachute and money, the dig site itself, and contacts for two alleged crime-partners of the hijacker. See our posted articles, with dig photos, from that time period. Previous articleSan Diego man accused of being D.B. Cooper: A life ruined or case solved? Next articleWas D.B. Cooper’s escape COVERED UP by the FBI?